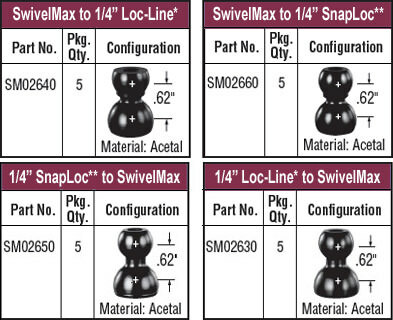 SwivelMax – Adaptors » Rovi Products, Inc. Select Part No. from drop down list, input quantity (5 per pack) and add to cart.